Sometimes you might want to share information from other documents in Microsoft Excel. Here we will show you how to create a hyperlink to another document. 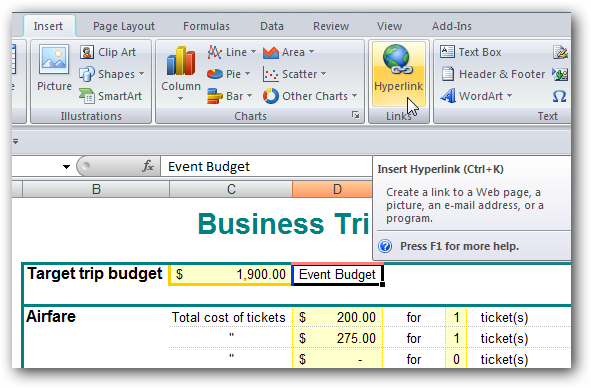 With your Excel document open click on the cell where you want to create the hyperlink and under the Insert tab click on the Hyperlink button. The Insert Hyperlink dialog box will pop up and here is where you want to add the text to display and browse to the location of the file you want to link to. Now you will notice the text in that cell is displayed as a link. If you hover the pointer over the link it will show the path to the file. 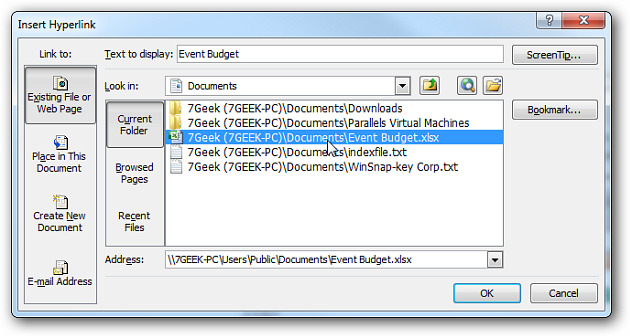 For this example we linked to another Excel document and it will be displayed with in the current opened worksheet. To go back to the original document just close or minimize the linked one. Basically you can create a hyperlink to anywhere such as a network location including a specific file, SharePoint page, or webpage. 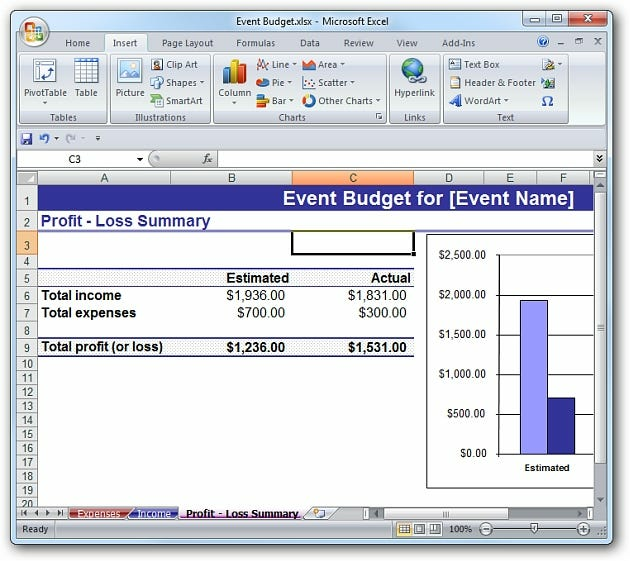 Hopefully this how-to will get you started in creating informative Excel documents for others.